Gankutsuoh Archives - Kampai! : Kampai! Ginza no Suzume Kohaku may be the first shochu I tried that showed just how diverse and complex this style of spirit can be. 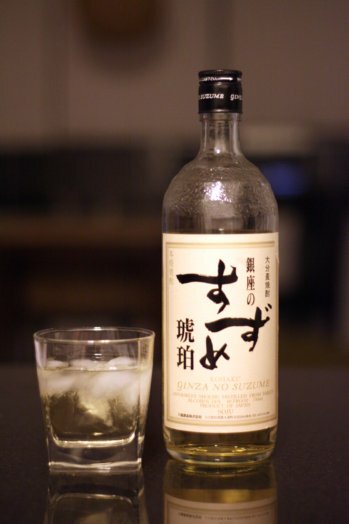 Ginza is a barley shochu, much like iichiko, which I consider a super easy drinking, mild, tasty starter-shochu, yet the two couldn’t be more different. Ginza is aged in repurposed American white oak bourbon barrels. 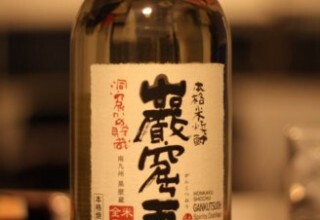 This gives the shochu its yellowish tint and oaky, smokey nose and taste. On the pallette it starts with the strangely oaken, earthy flavor that transforms into a sweet caramel. Nakanaka is the main brand of barley shochu from the very well respected Kuroki Honten in Miyzaki, which makes a wide range of delicious shochu across two different distilleries, but under the same ownership. Their premium barley shochu, Hyakunen no Kodoku, a 40% ABV barrel aged barley shochu, is arguably the most famous barley shochu in Japan. 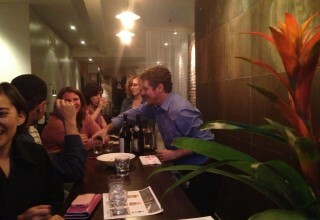 Nakanaka takes a more straightforward approach with atmospheric distillation and 100% barley.